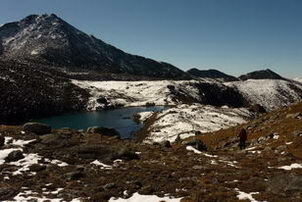 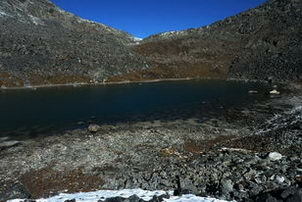 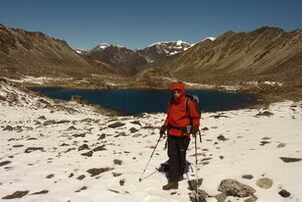 On the way to Tse la pass, about 1 hr above a place called Pota (Potok). 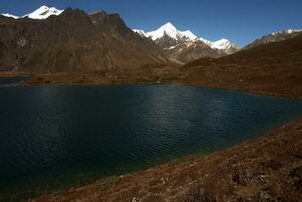 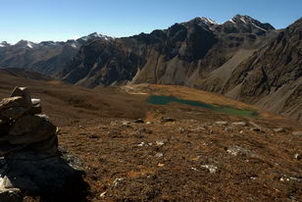 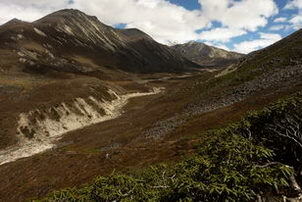 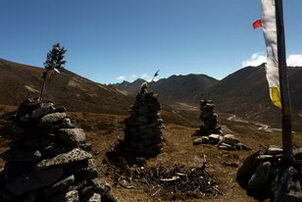 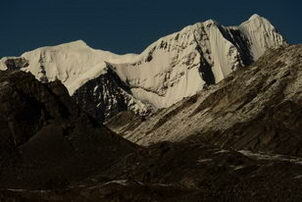 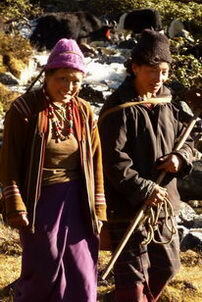 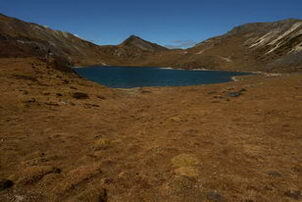 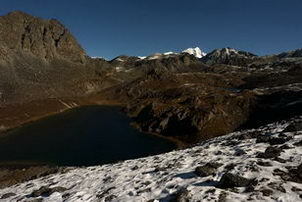 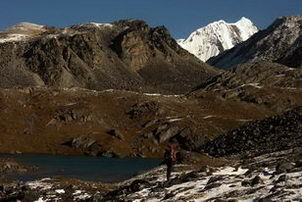 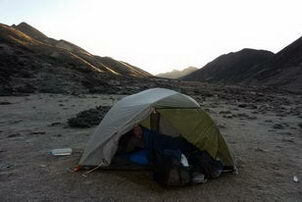 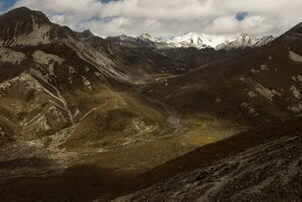 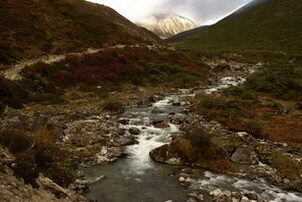 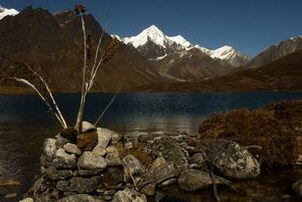 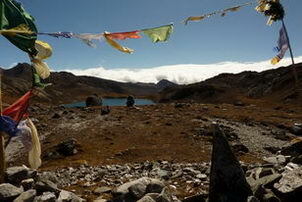 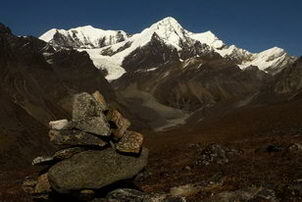 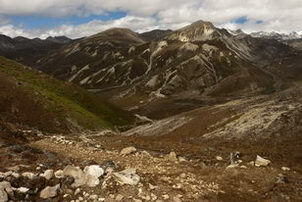 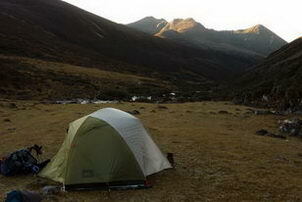 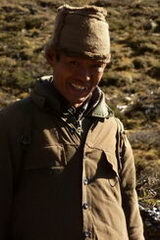 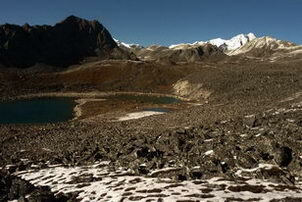 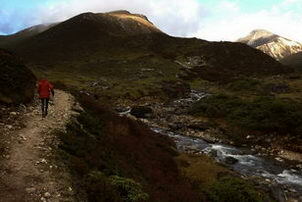 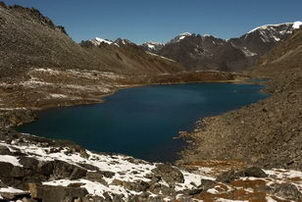 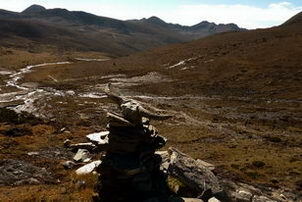 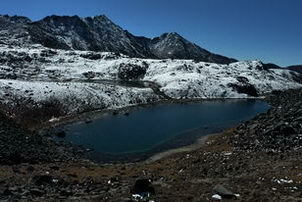 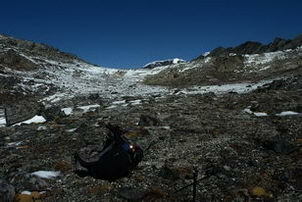 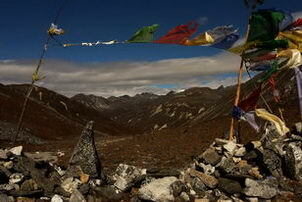 During the shortcut from Tse La pass towards Gorichen mountain - here we took the right valley. 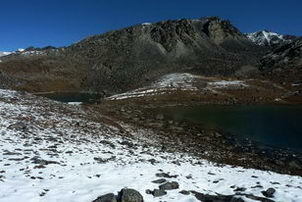 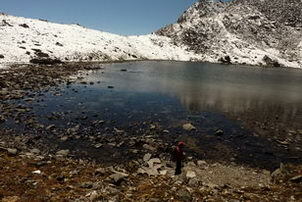 First of 3 lakes after the pass. 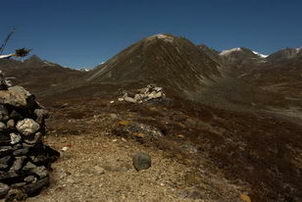 The pass can now be seen from the north.